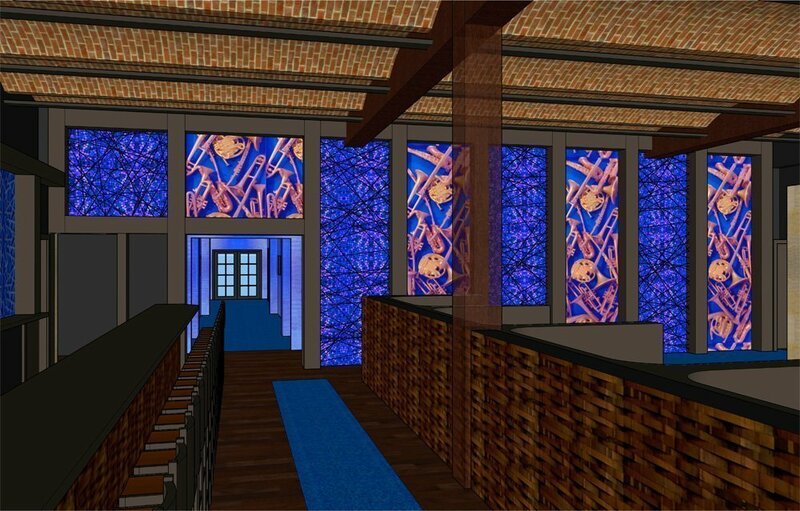 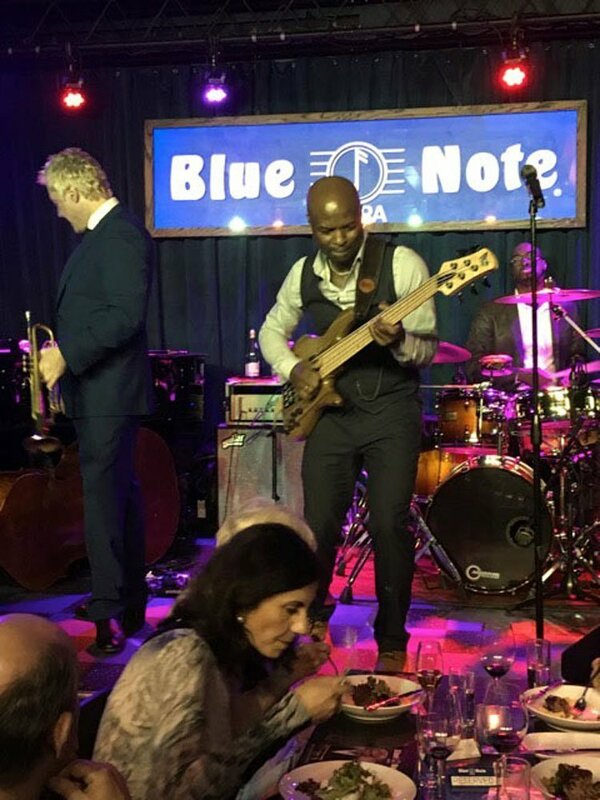 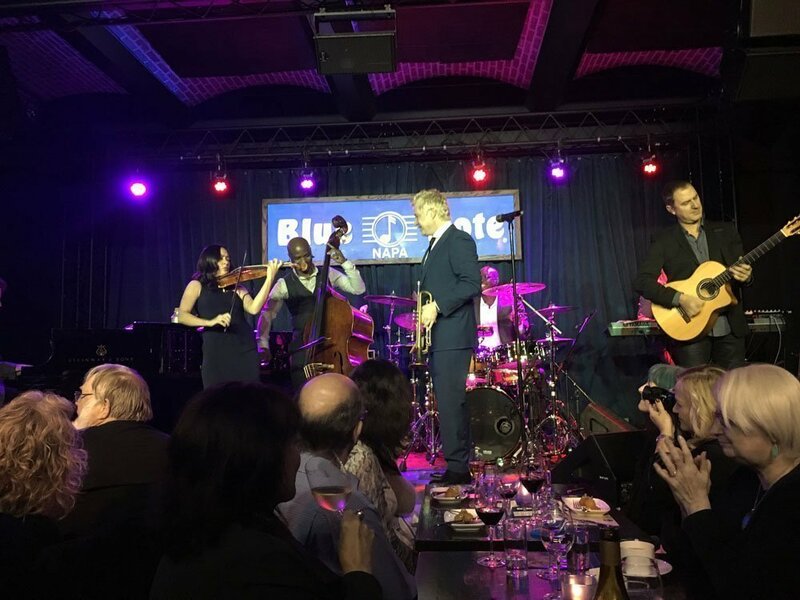 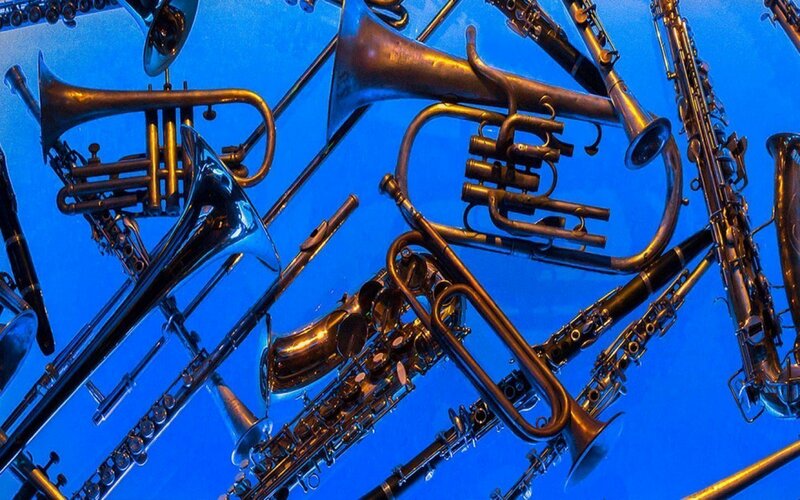 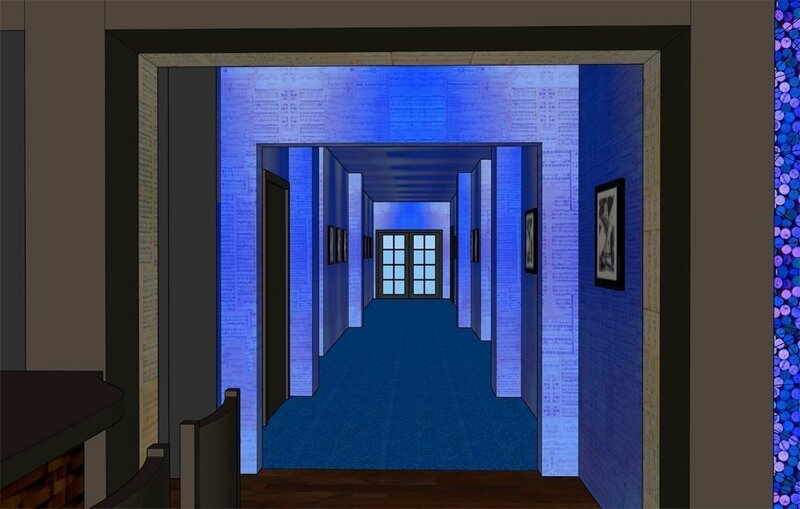 Gordon Huether pooled his passion for music with his perpetual fervor for visual and fine art by creating integrated art installations for the Blue Note Jazz Club & Restaurant, located at the historic Opera House in downtown Napa, CA. 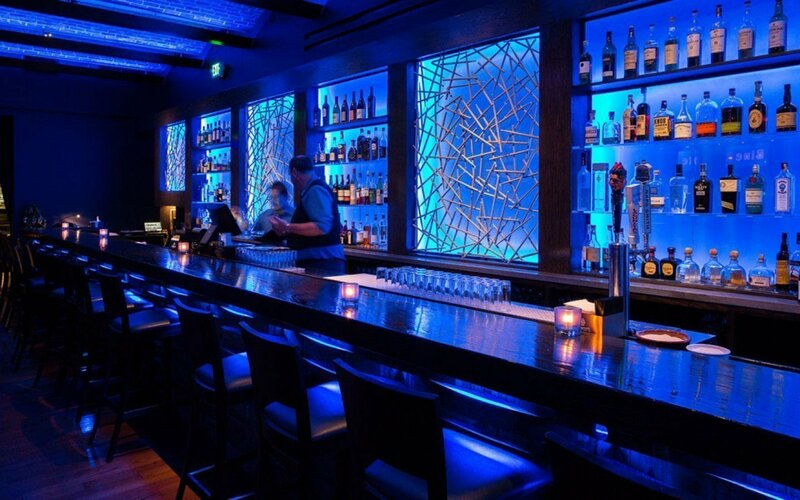 Fueled with the goal in mind to create a refined space that provides the visitor with an immersive, sophisticated and powerful experience, Huether created art installations that reflect Napa Valley as a diverse, progressive and world class destination that celebrates the art of music with the same passion as it does its wine, food and fine art. 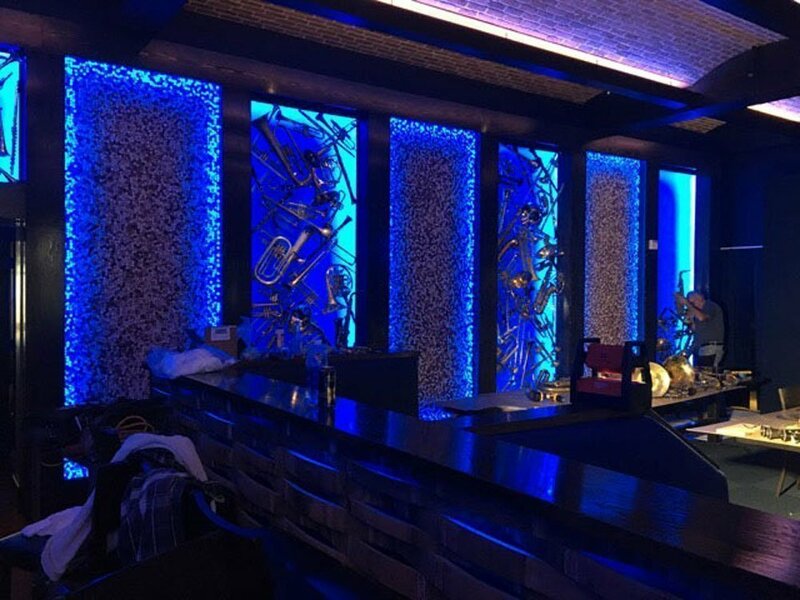 The artwork provides a site-specific, yet abstract interpretation of the dynamic relationship between those art forms at this intimate and charismatic venue. 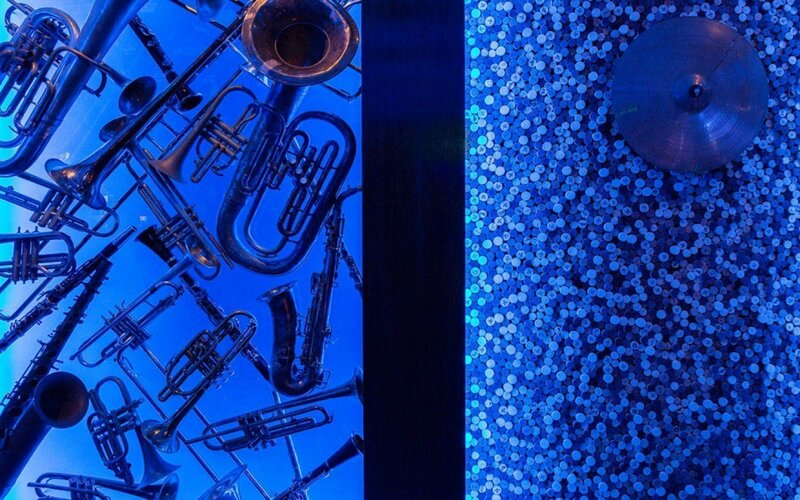 Huether’s integrated art installations feature thousands of corks, drumsticks, and repurposed wind instruments as well as airy blue hued glass, and aluminum printed portraits of famous Jazz and Blues musicians. 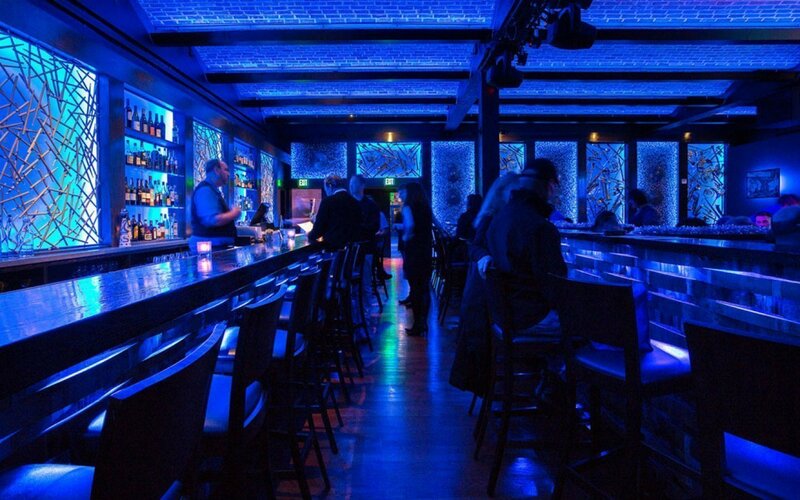 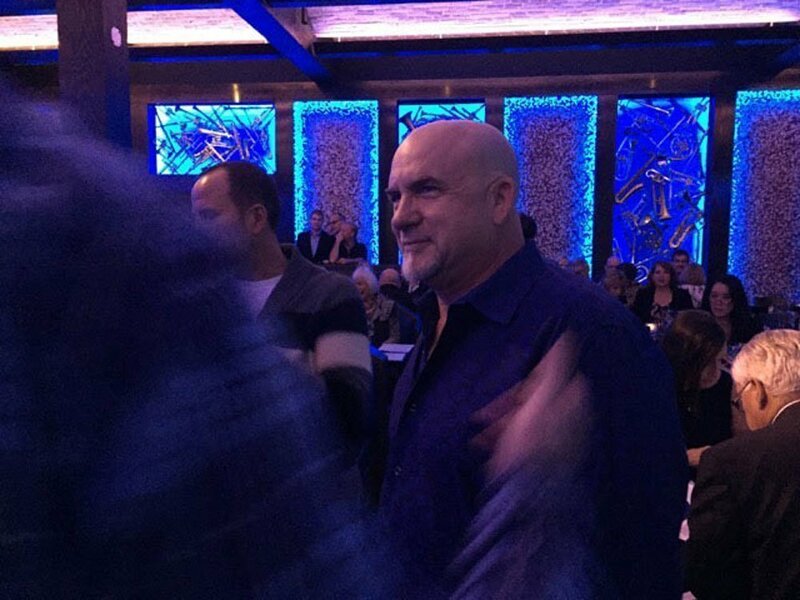 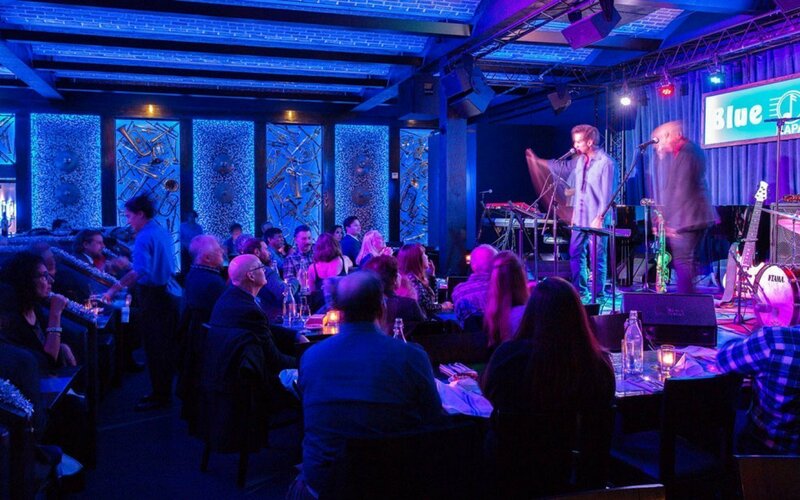 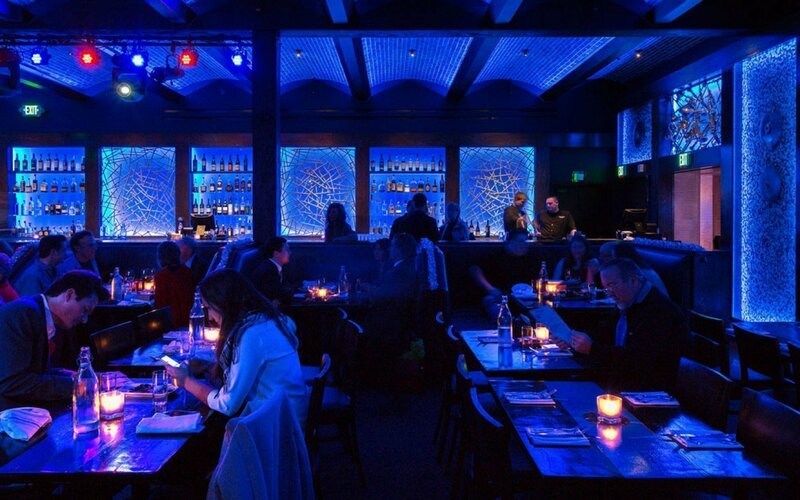 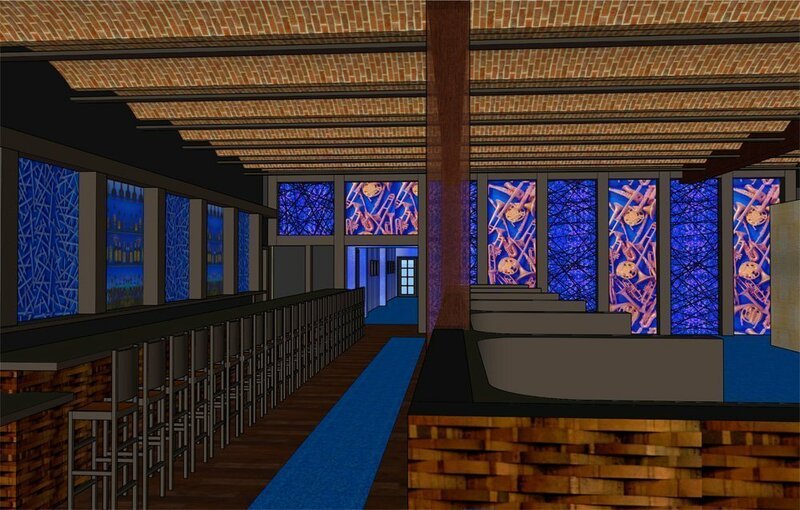 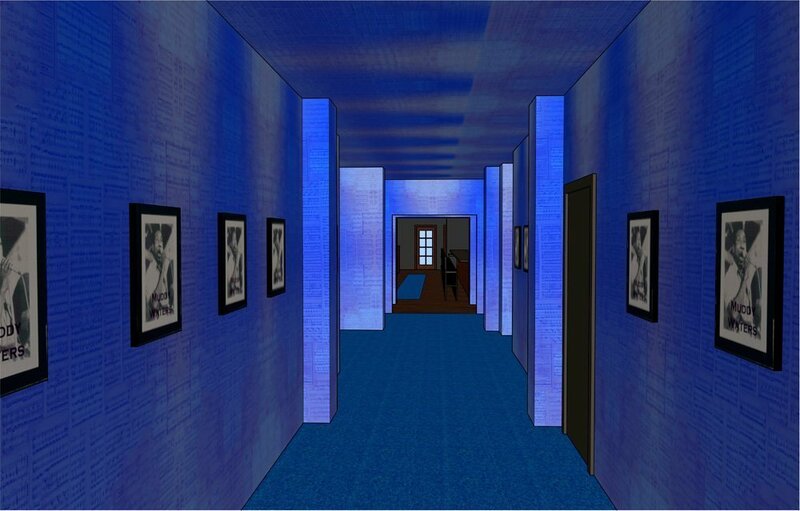 The artwork is dispersed throughout the entire club and accentuated with vibrant blue lighting. 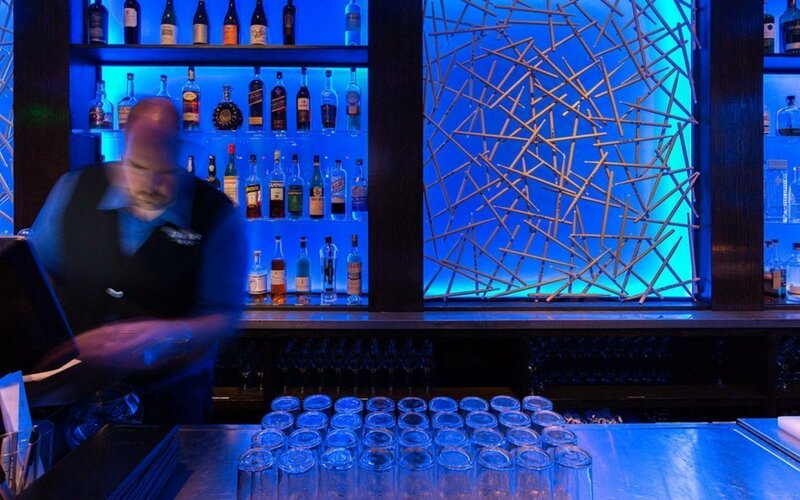 The art installations emphasize the intimate setting of the club and really define the space, lending it a distinct and powerful visual identity. 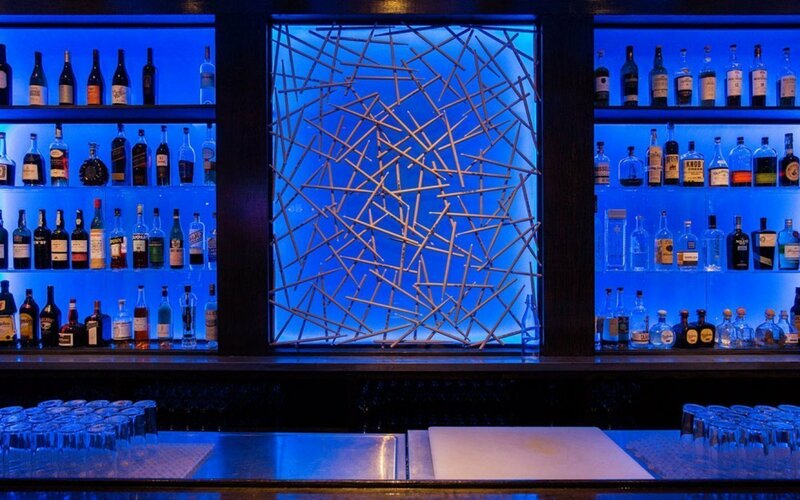 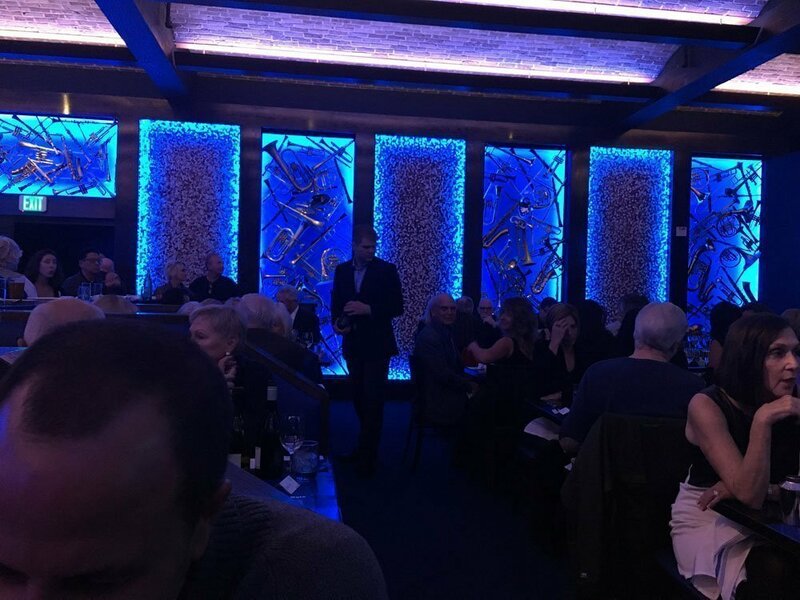 From design to final installation, Huether and his team worked closely with Blue Note’s staff and eventually their construction team to ensure a seamless and efficient installation of the artwork. 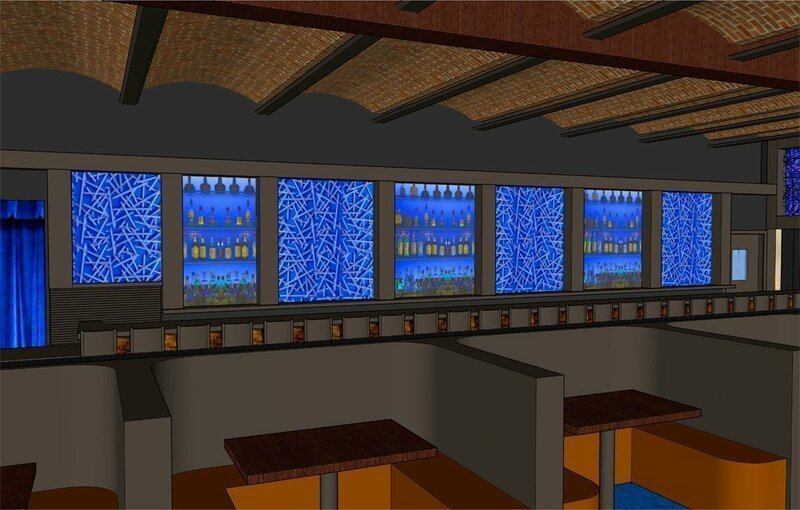 The bar wall installation measures 36 feet in length and is 5’-8” tall. It is made of repurposed drumsticks and vivid illuminated blue glass. 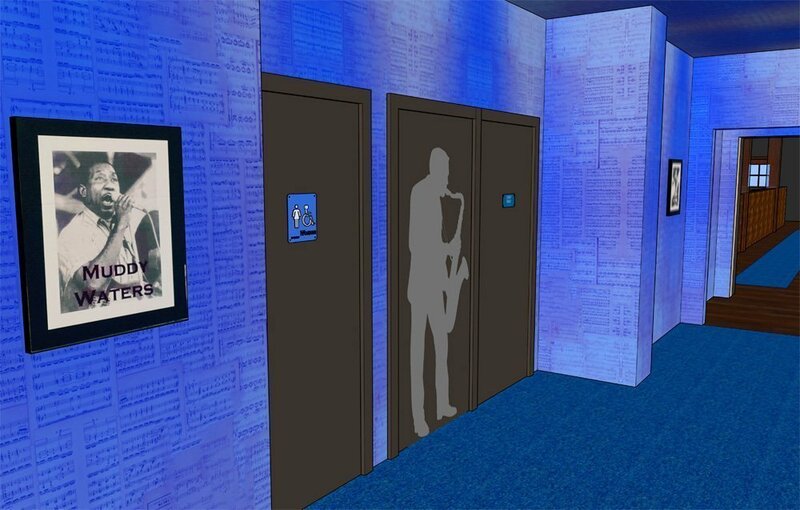 The art wall in the Jazz Club is made of the same materials and measures 39’-6” in width and is 12’ tall. 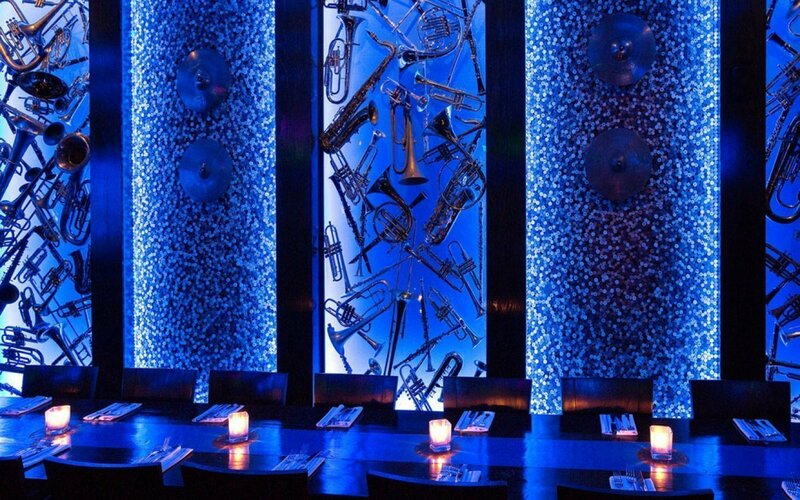 The East wall is a collage of wind instruments, guitar strings, blue lighting and thousands of corks. 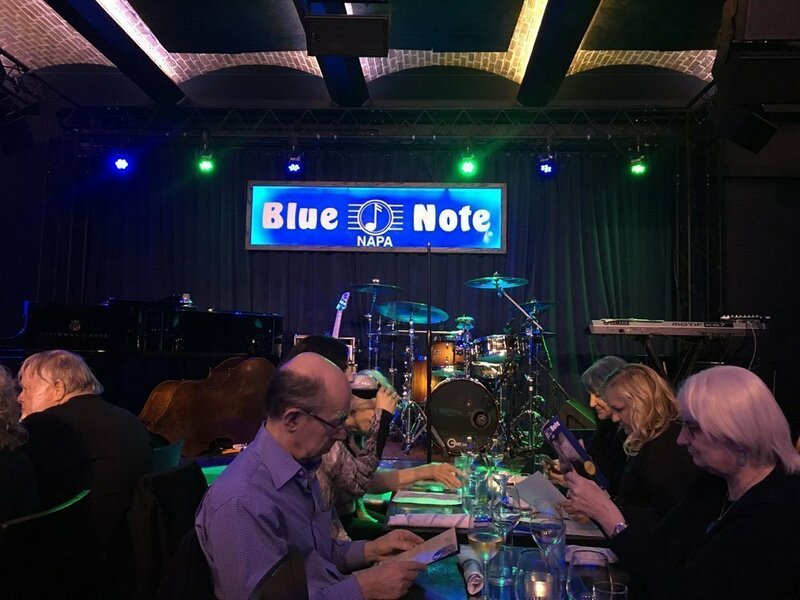 The hall of fame ceiling is covered with 420 square feet of sheet music, and the walls are covered with 1050 square feet of sheet music and highlights 18 individual portraits printed on aluminum featuring Jazz and Blues legends, each one measuring 18”W x 34”H.